I fully realize this is my third recipe for boneless beef ribs, but figure everyone can use another great and easy crock pot recipe, right? This literally takes about ten minutes to throw everything together prior to cooking. The sauce is just slightly different from my other recipes, but equally as delicious. You can use your favorite barbecue sauce, but I think homemade is always better. A lot of people like searing their ribs prior to cooking them (including me) as it gives a nice, caramelized crust, but it’s not a “must-do”. I’ve including the instructions on how to do that, but feel free to skip it if you desire. Season ribs with salt & pepper, and sear on both sides until lightly browned. Mix all ingredients in crock pot until brown sugar & salt are dissolved. Add ribs & stir to coat. Cover and cook on low for 7 hours or high for 4. 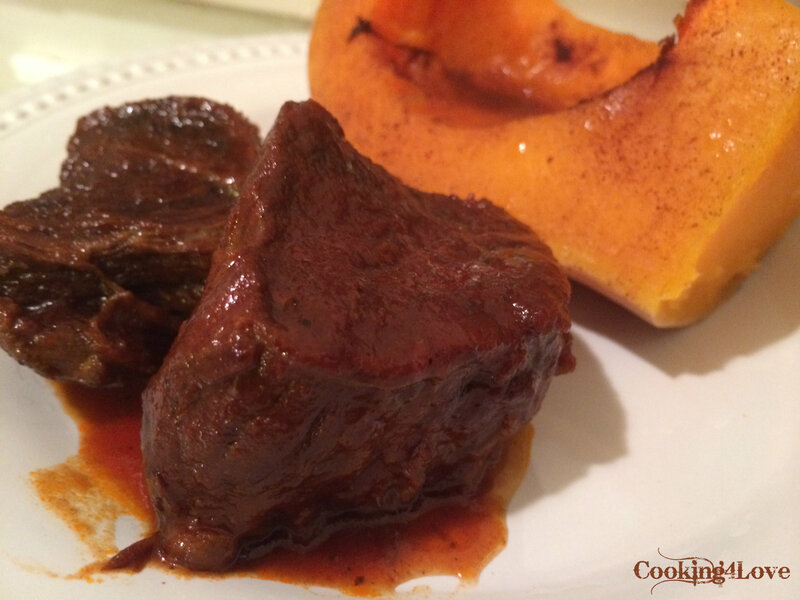 This entry was posted in Main Courses / Dinner, Meat, Recipes and tagged apple cider vinegar, beef ribs, boneless, brown sugar, cayenne, crockpot, dijon, easy, honey, ketchup, molasses, slow cooker. Bookmark the permalink.